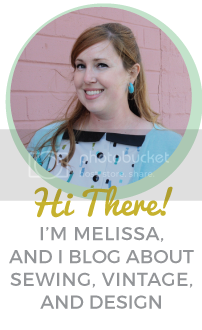 I’m loving the graphics and the images they bring to mind- jet setting, road trips, family vacations. 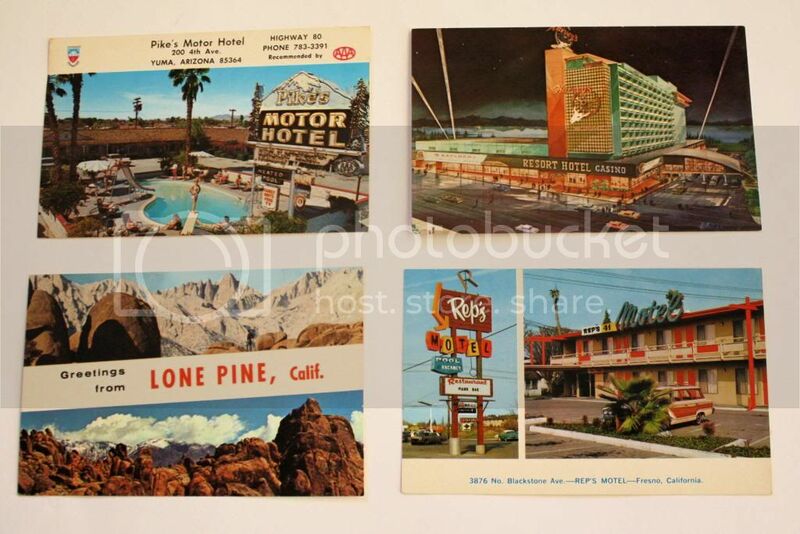 There were quite a few featuring a hotel or motel. These two motels are so perfectly sixties! 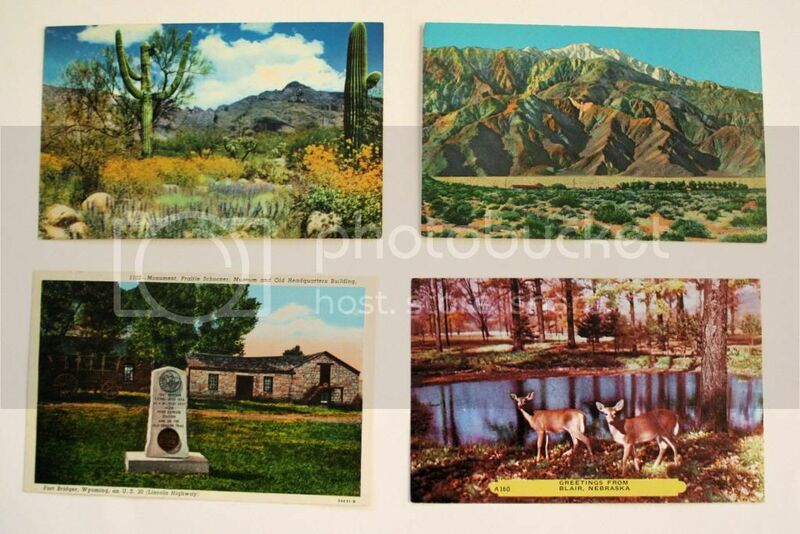 These four have beautiful scenery with an interesting technicolor feel. I snagged this one from the Pony Express Museum in Wyoming because I’ve actually been there! My cousin and I stopped there on a road trip we took a few years back. 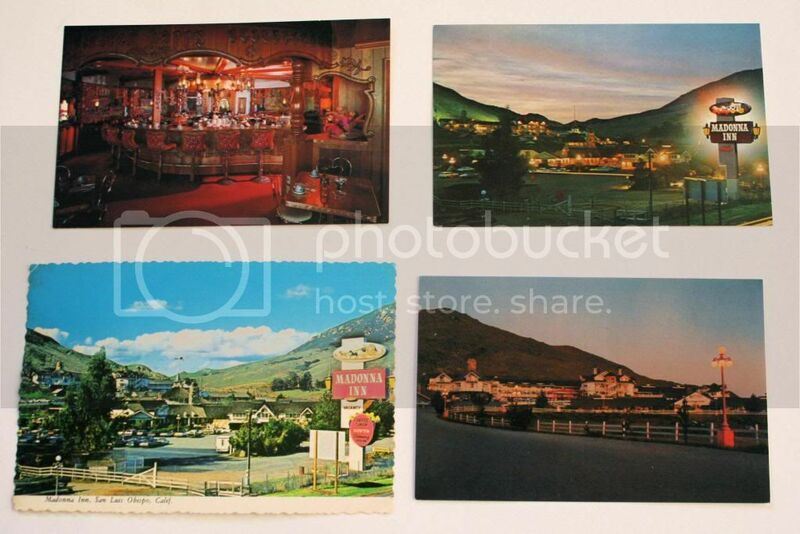 I was especially excited to find some great local images, because I decided to start my own collection of vintage postcards after finding a Pismo Beach one on this trip. Here’s Morro Rock (in the town of Morro Bay) and an aerial view of my hometown, Arroyo Grande, CA. Another famous local landmark, the Madonna Inn. I have so many memories of special events and birthday dinners here, and of my mom taking me to the Copper Cafe for lunch, where I always had to get one of their trademark rock candy sticks. The place is decorated so ornately and they go all-out for the holidays, so we usually went around that time just to see all of the decorations. 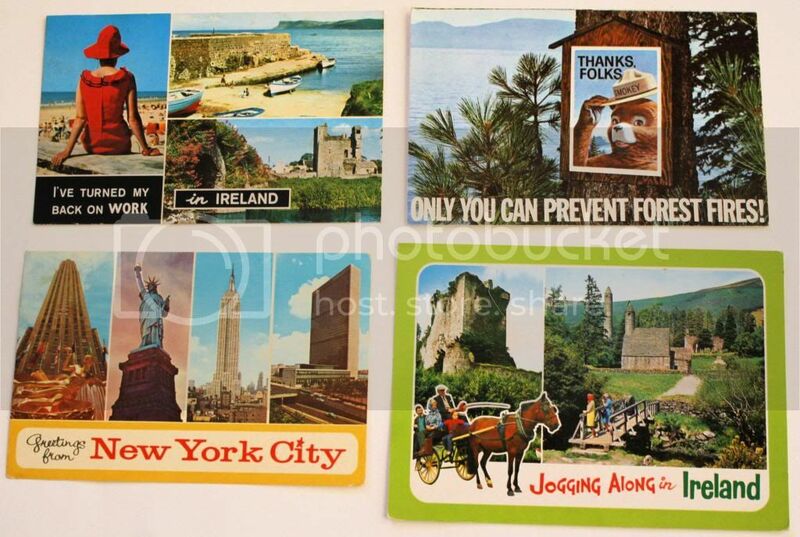 I hope you enjoyed these postcards! Any ideas for what I should do with my local ones? A collage? Scrapbook? Or should I just frame them?